A woman's bright-red brooch, engraved with the name Viola. Perhaps the jewel is a gift from a hunter. Use to change into a droplet blood gem that fortifies any weapon. With the proper workshop tool, various weapons can be fortified. 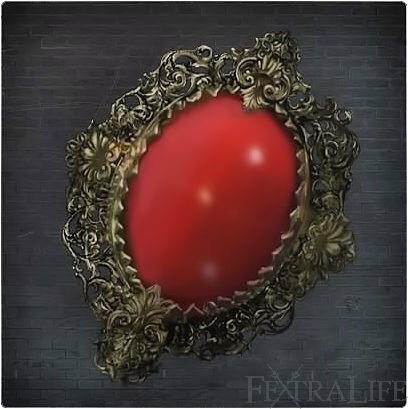 Red Jeweled Brooch is a Consumable Item in Bloodborne. By consuming this item it turns into a precious Droplet Blood Gem. This will make the girl cry because both her parents are dead. She will leave her house. if you return later and kill the large pig in the sewers, it will drop Red Messenger Ribbon which belonged to the girl. Ledge above Father Gascoigne arena. Similar to Gold Pendant obtained later in the game. Just a little theory as i just noticed the Red Jeweled Brooch looks exactly the same (if not very similar) to the necklace you&apos;ll wear with the Knight&apos;s Garb. How did she get it? Are they the same?